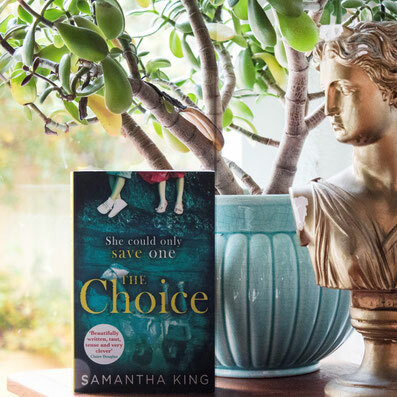 The Choice by Samantha King - Website of saraonnebo! Book review: The Choice by Samantha King. I loved everything about this psychological thriller! The characters, the plot and all the unexpected twists and turns. One of my favourite reads this year! Madeleine lived for her children. She'd always believed she'd die for them too. But on the morning of her twins' tenth birthday her love was put to the test when a killer knocked on their door and forced her to make a devastating choice: which child should live, and which should die - her son, or her daughter?